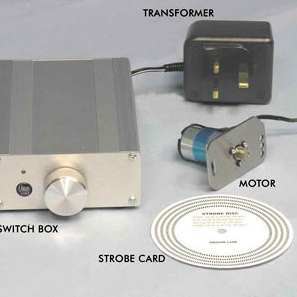 If you wish to replace a faulty motor or power supply and at the same time massively upgrade your turntable performance then this inexpensive motor kit far exceeds most peoples expectations. The kit is so outstanding in terms of performance that it’s used to upgrade fully working motors and power supplies costing upwards of £2000. It’s also been used by turntable manufacturers on decks costing over £12,000. The quality of motor and power supply used in a turntable is not just functional. It affects perceived performance more than almost any other component in a deck due to vibration and complex aspects of speed control which most never consider . You only need to take a look at the many owner comments from those who have fitted the Origin Live Turntable motor kits, to realize that this is not a subtle improvement. People are immediately convinced on audition, that this is one of the biggest upgrades you can make to your turntable. Not only has the DC motor kit received outstanding reviews, but has been used by a number of high end turntable manufacturers. What Difference can a Turntable Motor and Power Supply Make? A turntable reads music via a vibrating needle in the record groove. What is not generally realized is that this signal is magnified around 8000 times before reaching your loudspeakers. This means low levels of motor vibration are magnified by the same amount, affecting sound quality. You may be asking yourself what makes the Origin Live dc motor kit different? Surely the designer of any turntable, installs a drive system fit for purpose. This question deserves an explanation. Many designs are well thought out, and executed with meticulous care, however there are reasons why a good design can be let down by the turntable motor and power supply. Many manufacturers try adding a sophisticated electronic supply to their existing AC turntable motor. This is definitely a big step up but only partially addresses limitations of the motor design itself. This is due to the characteristic “cogging” vibration present in AC motors. Although in theory AC turntable motors should be able to perform well, the practice is very different due to complex technical reasons.In comparison, changing to a well designed DC motor is far more effective if the power supply is properly designed (the tricky part). Once this is successfully accomplished, it’s hard to imagine the level of improvement attained. The Origin Live turntable motor kit does just this and replaces the weakest link in your record deck – the AC motor. 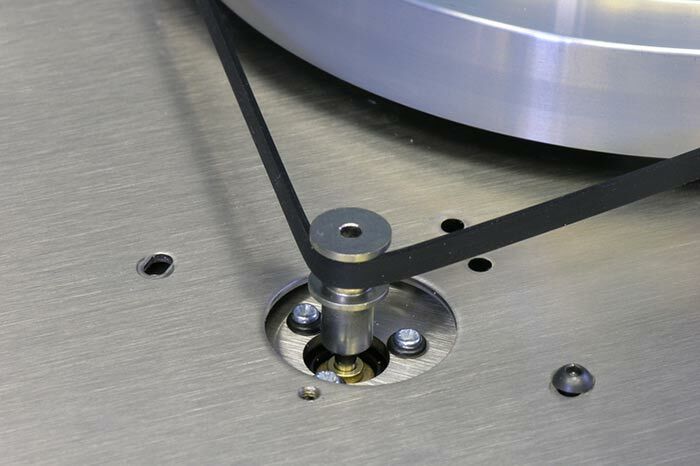 For over fifteen years the Origin Live turntable motor drive upgrade has been successfully fitted to the majority of decks such as Linn, Rega, Michel, Roksan and many more. No matter how advanced the existing power supply, the result of adding the Origin Live motor upgrade has surprised and delighted owners. It produces massive improvements to all aspects of sonic performance at a fraction of the price you would normaly pay for such a sophisticated solution. The kit is extremely well thought out and highly refined. Who is the Turntable motor Kit For? For those who desire an upgrade for their belt drive turntable. It makes no difference whether your belt runs on the sub-platter or directly on the platter rim. Because the motor speed setting is infinitely variable, the kit will work. The motor will run all platters, even those up to 30kgs in weight. Don’t be fooled by massive class A amplifiers driving large expensive motors, this power supply still outperforms them. It is reported from owners of all decks, from high end to budget, that the kit produces phenomenal improvements. The kits are very useful not only as an upgrade but also for affordably repairing decks with broken motors or power supplies. These are often prohibitively expensive were you to use the manufacturer’s components. For example, Oracle owners have acquired the Advanced DC Motor Kit at a third of the price Oracle would charge for a new motor, and found it to be a considerable improvement. Of course many turntable manufacturers have gone out of business or the decks are so old that they are no longer supported and obtaining parts is impossible. There are added difficulties if the AC motor has stopped working because the pulleys were often a press fit and not possible to transfer. A replacement pulley needs to be precisely the correct size for correct speed on AC motors which is usually insoluble unless you know of the Origin Live motor kit. The other thing to consider on older decks is that it’s not just the motors which stop working properly but the electronics can also expire at any point. A complete new drive system makes a lot of sense for reliability. Most turntable bearings will last a lifetime but the motors are a different story so investment in the drive system gives your record player a whole new lease of life. One of the reasons for the popularity of the kit is that it is incredibly adaptable. The 3 types of transformer will cater for US, Far East, Europe or UK supplies and we provide the correct one for your country of residence. All types of belt, sub-platter or platter are catered for – The variable speed adjustment enables this motor kit to be UNIVERSAL in it’s application – the pulley is designed to run with flat or round section belts – the list goes on, but rest assured, this kit has been extremely thoroughly developed and well thought out. Shop Installation: If you prefer to avoid fitting the motor yourself, then you can always use a local Hi-Fi shop. The drive upgrades are available through shops and there are many specialist dealers who can install the kit for you if required. A labour charge will likely be involved. 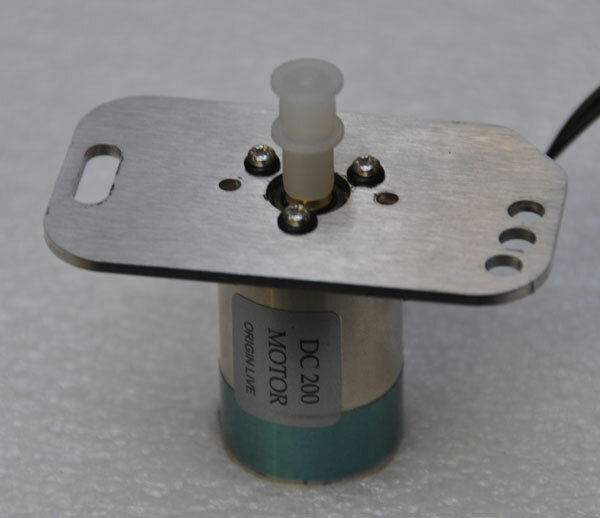 High grade DC motor with precision bored, high grip special plastic pulley designed for flat and round belts. Motor plate adapter to enable “drop in replacement” fitting to your deck. This is laser cut from stainless steel with mounting hole to coincide with the standard synchronous motor used on most decks. The single bolt fitting enables belt tension to be adjusted by rotating the motor. Due to lower vibration, the motor does not need compliant rubber mounting. Or the other decoupling methods employed on some decks to isolate their existing motors. In fact this motor can be attached to the sub-chassis of a deck with no significant noise breakthrough.